It seems that nearly every culture around the world had ways to honor the lessons from nature and integrate them to help with daily life. The Celts were no exception to this concept. They observed their environment, watching for omens and signs that could guide their actions and interactions. Similarly to Native American tradition this observation lead to creating a divinatory system that followed monthly moons. Each moon had a tree and an animal assigned. Depending on which month in which you were born you could determine certain personality traits for yourself and your Tribe. Remember, to the Celts the spiritual world and the mundane were inexplicably and forever connected. They did not compartmentalize life as we do. All is ONE and ONE is all. 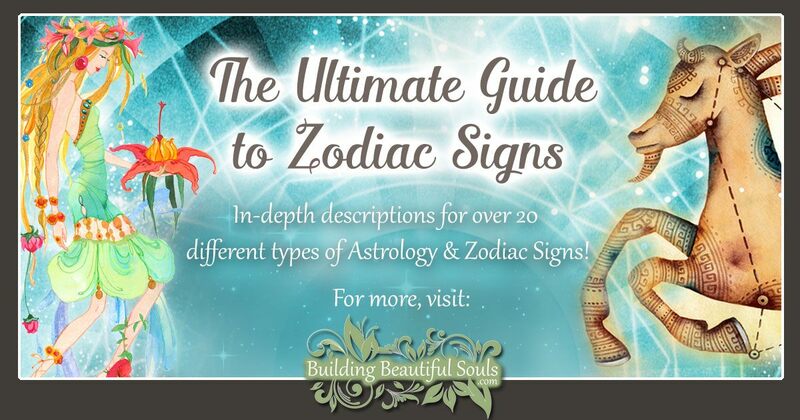 By studying the Celtic Animal Zodiac signs and meanings we can help ourselves re-attune to nature in meaningful ways. Mother Nature, her cycles, the mythology that holds hidden meanings to many of life’s nagging questions are all a part of this system. From birth to re-birth, from humankind to Divine kind the ties that bind us impact our lives in very real and powerful ways every moment. The Celtic Animal signs resonate with those influences. The Sacred animals of Celtic tradition come from the world in which they lived. These ordinary creatures became superior in spiritual form and in the stories of the Celts. The Shaman of the tribe was the bridge between everyday tribe members and this magical world. The connection between animals and the tribe was so deep that some believed that certain members became animal spirits upon their death, or descended from animals. 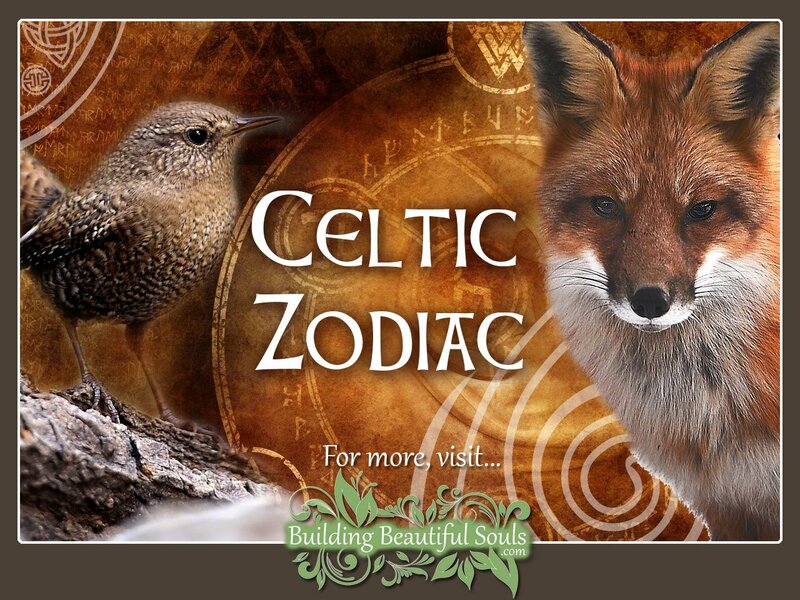 Click on the images or links below to read all about your Celtic Animal Zodiac Sign. Which one is yours? Those born under the stag have tremendous vision. They persist through the most difficult of circumstance with patience and pride. These people are the paragons of hard work and sound leadership. Their word of honor is their sacred oath. The color correspondence for this Celtic Sign is white and the Tree is Birch. 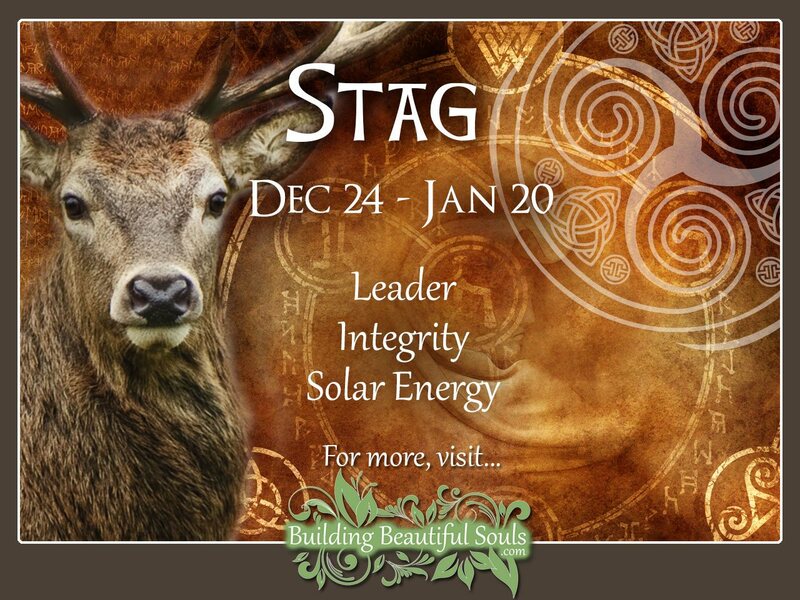 Click to learn more about the Stag or Deer Celtic animal zodiac sign. If this is your Celtic birth sign you are fast on your feet and even faster with your wit. The Cat has high intellect balanced with keen psychic insights. Cats are lovable but also somewhat independent. Cat people need creative outlets to keep from mischief. The color for this sign is gray and the tree is Rowan. 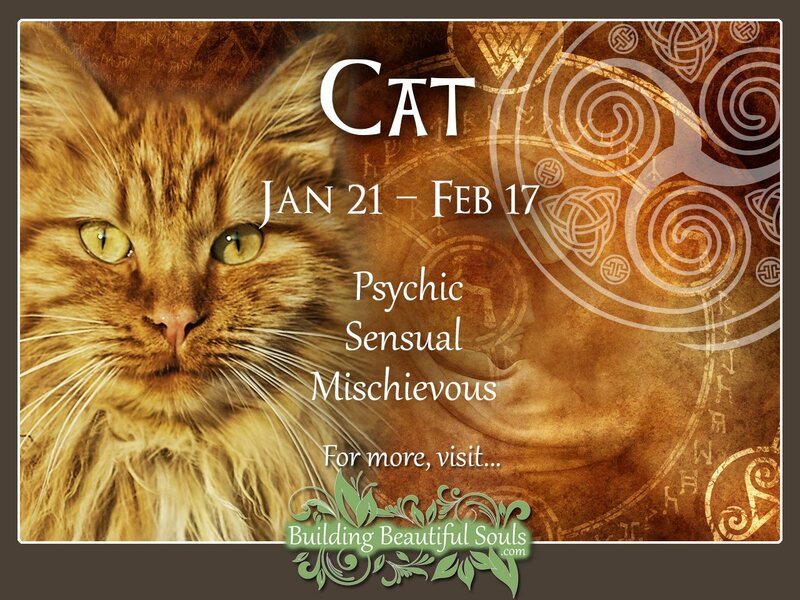 Click to learn more about the Cat Celtic animal zodiac sign. The Snake is a cool cucumber with far more energy than you might expect from their ever calm demeanor. Snake loves a mystery and constantly loves to unravel the world around. Snake people are highly communicative, flexible but also not one to slither away from a fight when cornered. The color for this sign is green and the tree is Ash. 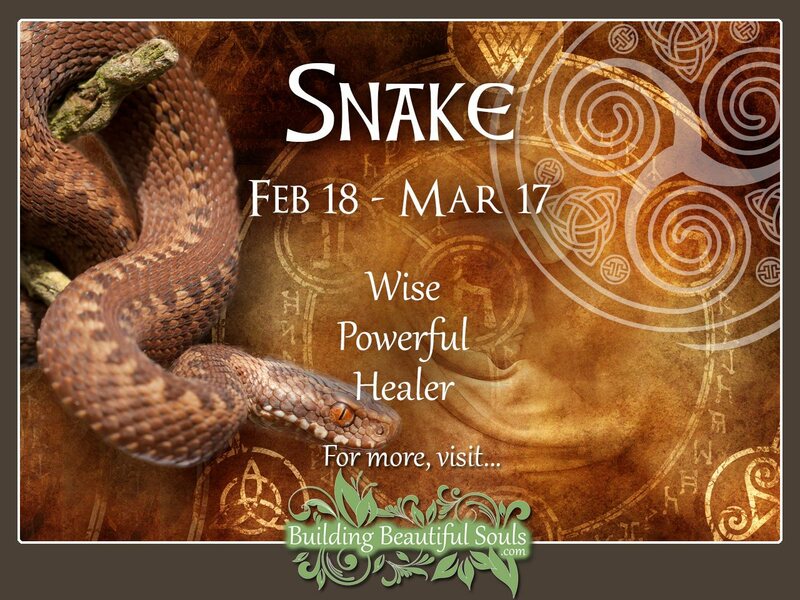 Click to learn more about the Snake (Adder) Celtic animal zodiac sign. Fox people are, well, Foxy! You want to talk about someone who can fill a room with sexual energy, this is the sign. Foxes love adventures, mostly for the stories that come out of them. They are also jokesters and gamblers, but would never risk family or friends on a prank. Fox’s color is red and his tree is Alder. 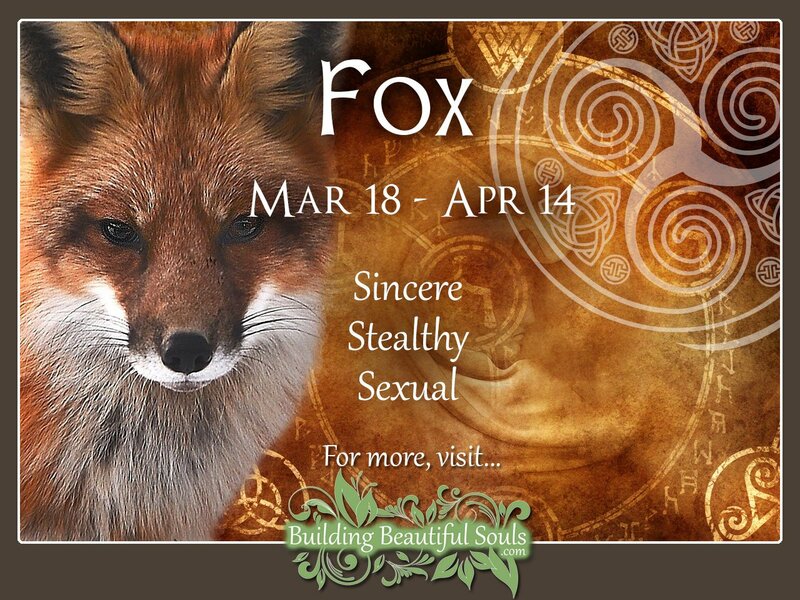 Click to learn more about the Fox Celtic animal zodiac sign. If you crave stability look no further than the Bull. These people will always stay strong when you need them, and also offer sound advice. You cannot fool the Bull, so don’t even try “bull shitting”. Bull people love the finer things in life, and can be a tad stubborn about their tastes. You can trust Bull with your intimate secrets. The Bull sign’s color is pale yellow and the tree is Willow. 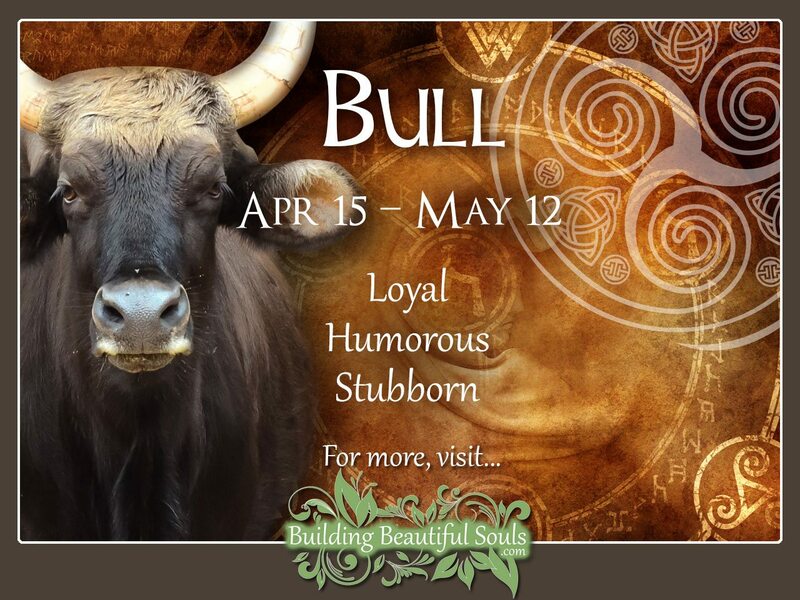 Click to learn more about the Bull Celtic animal zodiac sign. Seahorse is the sign of resourcefulness. They can act quickly to changing circumstances particularly of a legal nature. The Seahorse remembers everything (and I do mean everything). Your Seahorse companions will enjoy attention and return it fully. They are very smart and can create a budget on a dime. The color for Seahorse is purple and the tree is Hawthorn. 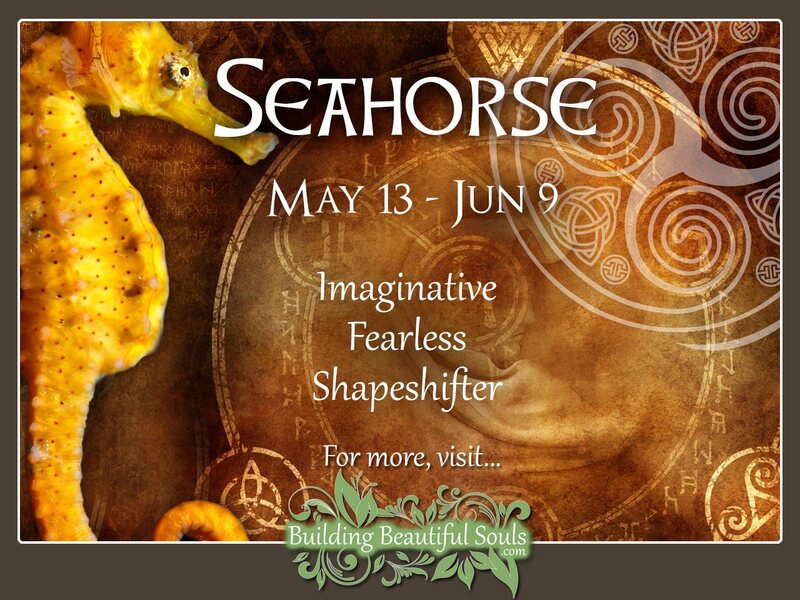 Click to learn more about the Seahorse Celtic animal zodiac sign. Wren is like a breath of fresh air in the Celtic Animal Zodiac. They’re happy, go-lucky people wo love music and offer sweet songs when life gets its worst. Wren is an amazing ally when storm clouds surround. They don’t need to be told what to do – they just instinctively KNOW what’s right and true. Note that Wren has gypsy wings, her color is forest green and the associated tree is an Oak. 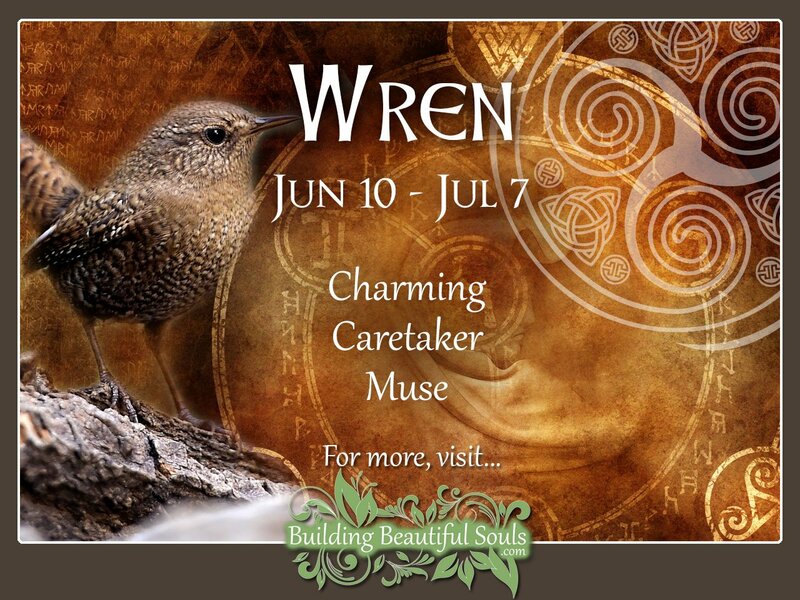 Click to learn more about the Wren Celtic animal zodiac sign. The Celtic Horse is a powerful person. They love a good competition and often shine brightly in the winners’ circle. Horse rarely needs a map. They simply know the way around. You will find Horse companions to be very charismatic, sly in business and good dressers. Horse’s color is silver and the tree is Holly. 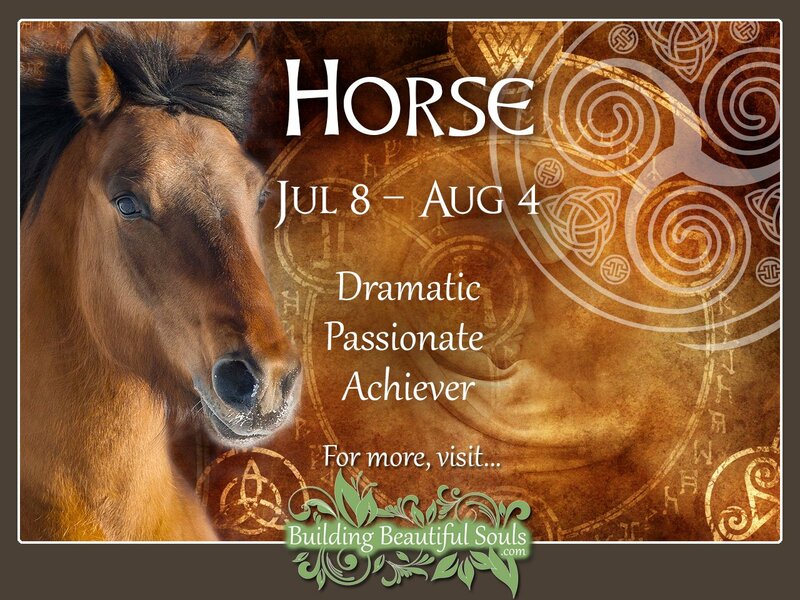 Click to learn more about the Horse Celtic animal zodiac sign. Salmon is the sign of wisdom and creativity. This fish swims deeply in the intuitive waters for unique spiritual perspectives. Salmon people often experience uncanny dreams to which they should pay attention. They are the visionaries of the Celtic Zodiac that are often misunderstood because they walk between two spaces. The color for Salmon is brown and the tree is Hazel. 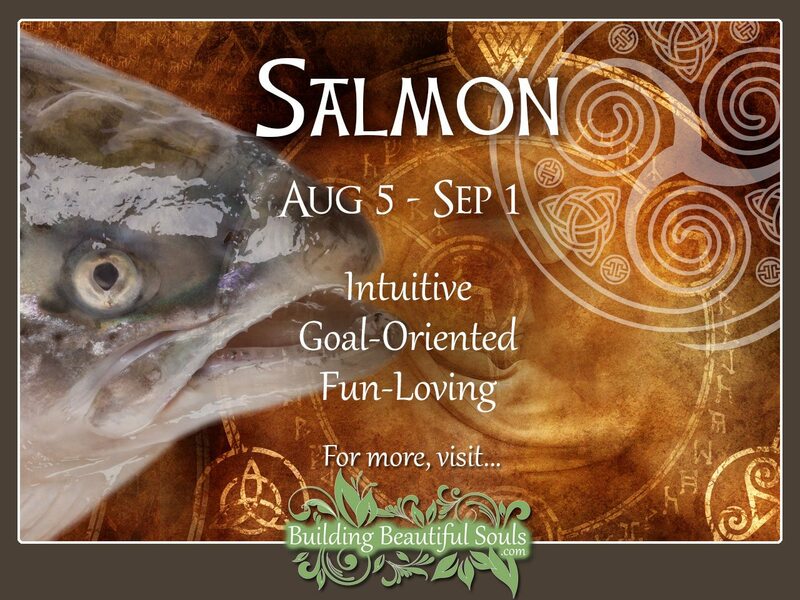 Click to learn more about the Salmon (Fish) Celtic animal zodiac sign. Ah the ever lovely swan whose eye for beauty knows no bounds. These are very noble people with specific tastes and passions. People sometimes feel off-put by the Swan because decorum comes first, spontaneous action last. Organization is Swan’s specialty as is an eye for detail. Swan’s color is pink and the “tree” is Vine. 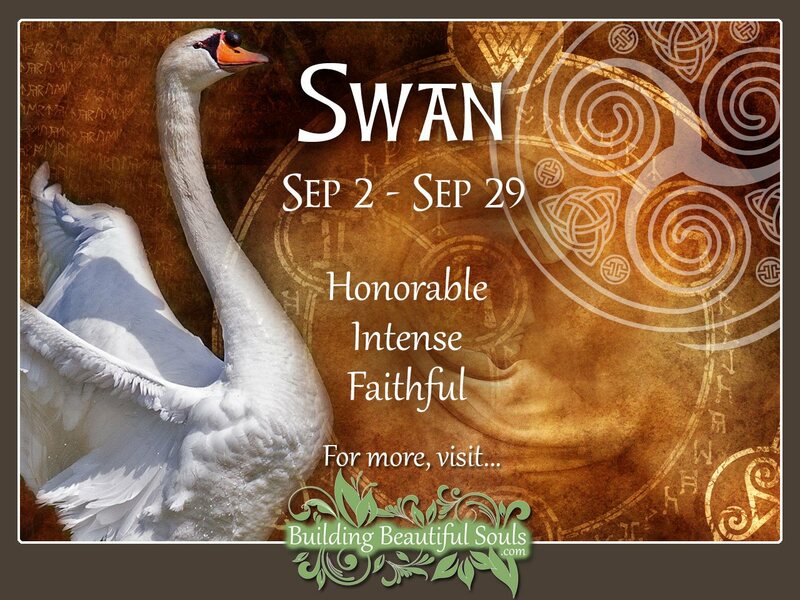 Click to learn more about the Swan Celtic animal zodiac sign. There is something to be said for aphorisms and the social butterfly truly applies to this Celtic Animal sign. Want someone to plan a party? Ask a Butterfly. How about networking? Yep, that’s Butterfly too. Butterfly is a dreamer who loves the sweet simple things in life and isn’t easily tied down. Their color is blue and the associated tree is Ivy. 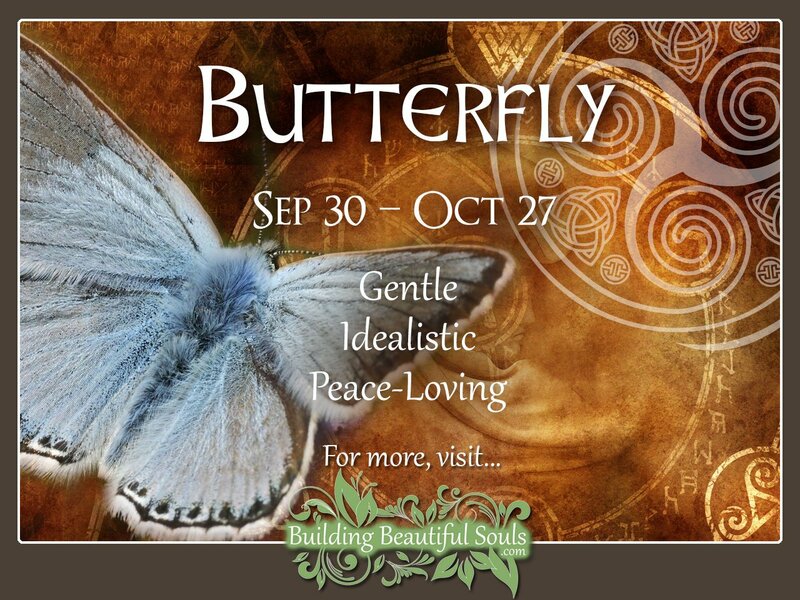 Click to learn more about the Butterfly Celtic animal zodiac sign. Wolf is purposeful and pointed. This Celtic sign shows little wiggle room when it comes to their viewpoints. Compromise isn’t really in their vocabulary but bravery certainly is. They love a good obstacle and have the drive to overcome it. The keynotes for Wolf are ethics, honor and durability, but often alone vs. in groups. The color for Wolf is harvest orange and the tree is Reed. 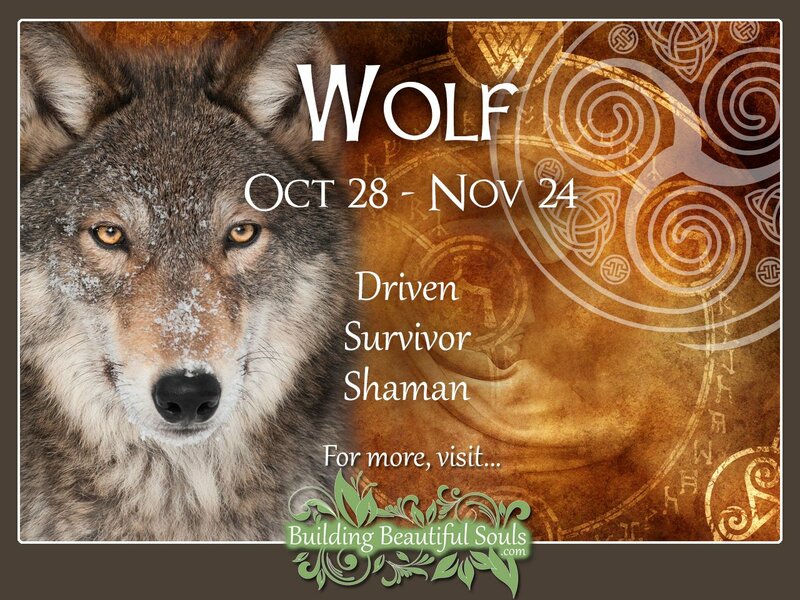 Click to learn more about the Wolf Celtic animal zodiac sign. Hawk wants what Hawk wants. Those projects are always followed with due diligence but when Hawk people are thrown into “iffy” propositions they’re likely to fly off and land elsewhere. Despite this Hawk is actually generous and kind, especially with people they trust. The color for this sign is gold and the tree is Elder. 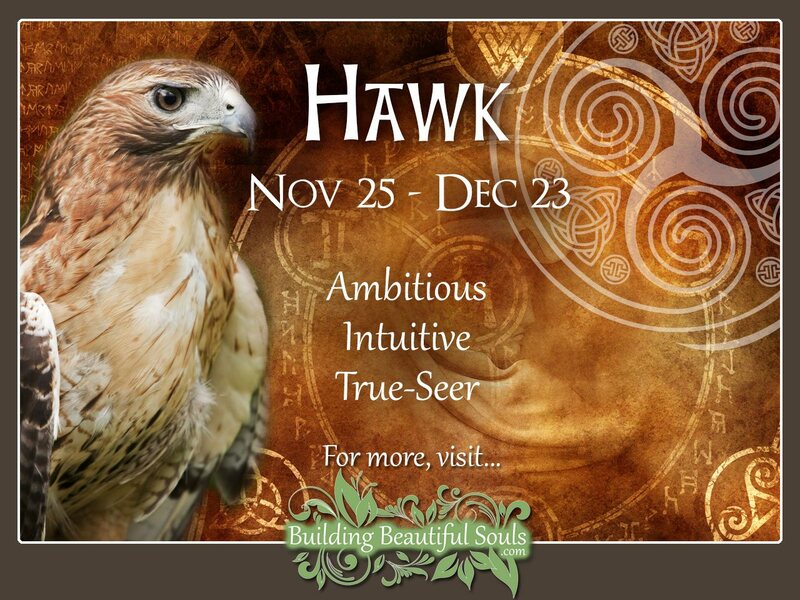 Click to learn more about the Hawk or Falcon Celtic animal zodiac sign. 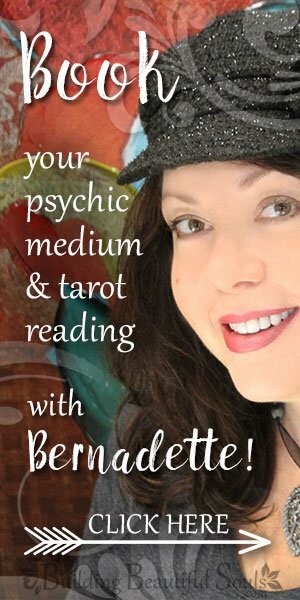 While the Celtic Zodiac looks mainly at personality traits, there is no reason that you cannot use this information when exploring your Totems, Spirit Animal Guides and Power Animals as an adjunct. Every different era and culture sees animals from that unique lens. The question for you is what you find most useful. Keep an Animal Zodiac notebook along with your writings about experiences with any animals that appear to have meaning. See what the Spirits tell you.